In 1988, Mike Gin and his sister Loretta were looking for a home. They drove through North Redondo Beach and took a liking to the city. A few weeks later, they ended up buying their first home. The citizens showed a strong liking for Mike. He was elected to serve as the city's next mayor... defeating Councilman Gerard Bisignano by an overwhelming margin of 61 to 39 percent. Mike Gin at age 42 replaced outgoing Mayor Greg Hill. At a celebration at Friscotti restaurant, Los Angeles County Supervisor Don Knabe praised Mike for all that he accomplished as a deputy supervisor in Don's office... and for running a positive campaign. Most of all, Don said that he was very proud of his friendship with Mike. Mike said, "This has been just an incredible journey for me in my life. So many people helped me... I just can't thank you enough!" At the top of the list, he thanked his father William Min Gin and his sister Loretta. Both passed away nearly a decade ago. "They are looking down and I hope they are happy. They both instilled so much in me and are both part of who I am." His mayoral opponent Bisignano said, "I congratulate Mike Gin. He will be a great mayor for Redondo Beach. The city will be in great shape, and I wish Mike all the best." Gin had kept his campaign positive and stayed focused on issues that mattered to local residents... such as restoring after school daycare and crossing guard programs, creating growth, and creating a stronger partnership with the school district. L.A. County Supervisor Don Knabe said it best, "If there is a political lesson here, it's just hard work. He is so committed to the citizens of Redondo Beach. He just worked his tail off, and he still managed to do his job for me. The guy is just phenomenal. Mike always stayed positive and didn't get caught up in the side of politics and ugliness." Nice guys can finish first. Mike has scored one for the nice guys. Mike Gin is currently serving as the Mayor of the City of Redondo Beach. Mike previously served as a Redondo Beach City Councilman from 1995 to 2003. Prior to his election to the City Council in March 1995, Mike was Vice-Chairman of the Redondo Beach Planning Commission (member from 1992-1995) and was previously Chairman of the Redondo Beach Preservation Commission (member from 1989-1992). As Mayor, Mike currently serves as a director of the Los Angeles County Sanitation Districts, Los Angeles County City Selection Committee, Delegate to the Santa Monica Bay Restoration Project, delegate to the South Bay Youth Project, delegate to the United States Conference of Mayors, and the Honorary Chair of the Redondo Beach Sister Cities Committee. In 1992, Mike was elected to serve for a two-year term on the Los Angeles County Republican Central Committee representing the 53rd Assembly District. He was also a member of the State Central Committee for the California Republican Party from 1994 - 2000. In 1993, Mike was honored by the Redondo Beach Jaycees and the Redondo Beach Chamber of Commerce as “Young Man of the Year” for his dedication and years of service to the Redondo Beach community. In 1999, Mike was one of seven Chinese-American municipal elected officials in LA County honored with CAUSE’s (Chinese Americans United for Self-Empowerment) “Citizen of the Year” award for contributions and service to the Los Angeles Chinese-American community. He was also selected as one of fourteen elected officials from across the country to participate in the Elected Officials Leadership Academy sponsored by the Asian Pacific Institute for Congressional Studies (APAICS) in Washington, DC. Prior to joining the Supervisor’s staff, Mike was a Technical Support Services Manager with Infonet Services Corporation in El Segundo. Prior to joining Infonet, Mike was a Senior Member of the Technical Staff at TRW in Redondo Beach, CA. 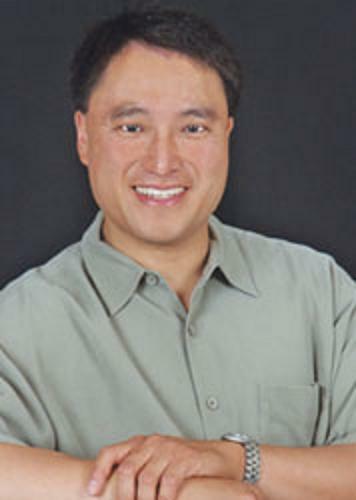 He received his Bachelor of Science degree in Computer Science from the University of Southern California in 1984. In his spare time, Mike enjoys snow skiing, working out, and playing the piano.